While waiting up for Santa, why not book your next holiday in the Philippines? To spread the holiday cheer this Christmas, Philippines’ leading airline Cebu Pacific has a special seat sale to some of the world’s best islands, with fares as low as SGD1! Cebu Pacific is holding a flash seat sale from Singapore to Manila, Clark, Cebu, Ilo Ilo and Davao, starting today, 24 December, until Tuesday, 25 December 2018 (or until seats last). Travellers can grab their tickets for as low as SGD1 for travel between 1 July 2019 to 30 November 2019. The Philippines is home to two of the World’s Best Islands as chosen by readers of the prestigious Conde Nast Traveller. Blessed with marine diversity and fine sandy beaches, as well as a rich Hispanic heritage, the Philippines is a traveller’s dream come true with an interesting East-meets-West experience of food, adventure, shopping and relaxation. With low fares that can’t be beat, flying with Cebu Pacific is a great way to make the most of your vacation budget, especially in the Christmas’ spirit of joy and giving. 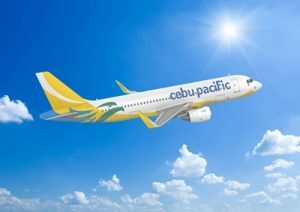 Cebu Pacific currently flies up to 42 times weekly on 5 direct routes from Singapore to the Philippines: Manila (3x daily), Cebu and Clark (7x weekly), Iloilo (3x weekly) and Davao (4x weekly).